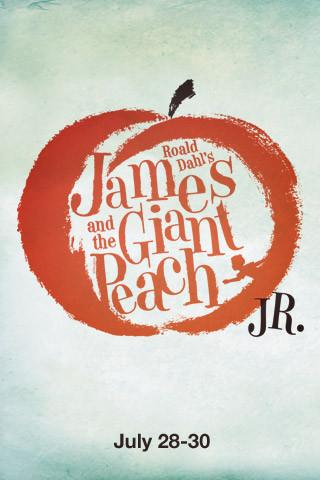 In this 12-minute podcast interview on the rehearsal stage of Bainbridge Performing Arts (BPA), we meet the young lead actor and two of the Directors who will present “James and the Giant Peach” on the BPA stage from July 28 to 30. Tickets are now available. Join our conversation with Director Victoria Whitlow and Musical Director Michelle Abad, who also describe the multi-week kids theater summer school at BPA which has generated the large ensemble and lead cast for this production. After podcast recording on the BPA stage (l to r): Director Victoria Whitlow, lead actor Trey Field-Bennet, and Musical Director Michelle Abad. 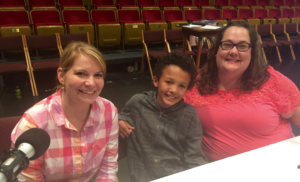 In addition, this podcast includes a delightful little exchange with 10-year-old Trey Field-Bennet, who plays James in this show. He has also performed in several prior BPA productions. Victoria and Michelle provide details about the annual kids theater camp for children in grades 4 through 10 that BPA is conducting for 4-½ weeks this summer. We learn in this interview that the theater summer camp is a character building experience in a couple of ways. The participants in the camp become the characters in the resulting play, and the school teaches the full range of how a show is produced, leadership skills, teamwork, and on-stage confidence that the kids and their parents value. This production features a “wickedly tuneful score” (as BPA says on their website) by a particularly popular musical composer of the day. As BPA says, the stage rendering of this popular children’s book is an “adventurous musical about courage and self-discovery” that can delight audiences of all ages. See additional details at the BPA website.